In current practice, there is an expectation that human control is exercised over the use of weapons. This means when, where and how weapons are used; what or whom they are used against; and the effects of their use. 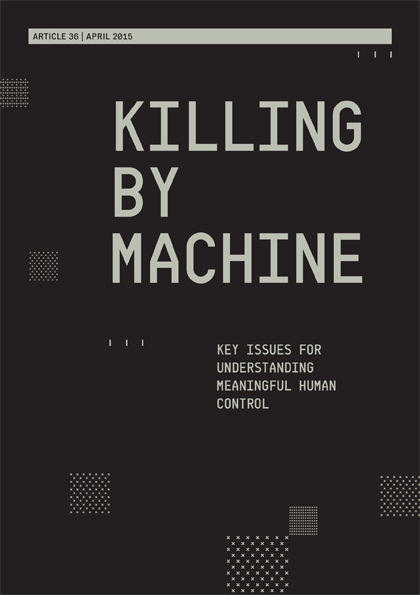 Increasingly autonomous weapon systems threaten to erode what we have come to expect in terms of human control over weapons. Weapon systems that operate outside of the parameters of meaningful human control are neither ethically acceptable nor legally permissible. Article 36 argues that meaningful human control over weapon systems is required in every individual attack. States should develop new international law to make this requirement explicit. Understanding how we exercise control over existing weapons provides critical guidance for developing an adequate response to increasing autonomy in weapon systems. × The pre-programmed target parameters, the weapon’s sensor-mechanism and the algorithms used to match sensor-input to target parameters. × The geographic area within which and the time during which the weapon system operates independently of human control. Sufficient human control over the use of weapons, and their effects, is essential to ensuring that the use of a weapon is morally justifiable and legal. Such control is also required for accountability over the consequences of the use of force. • understand the context in space and time where an attack can take place. • States should make it explicit that meaningful human control is required over individual attacks. 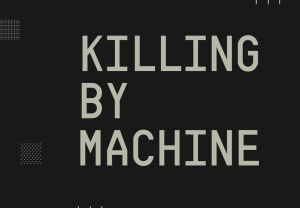 • Weapon systems that operate without meaningful human control should be prohibited.